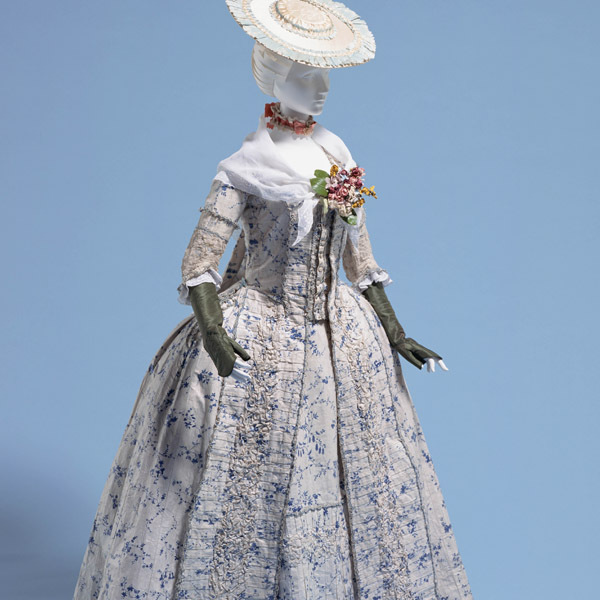 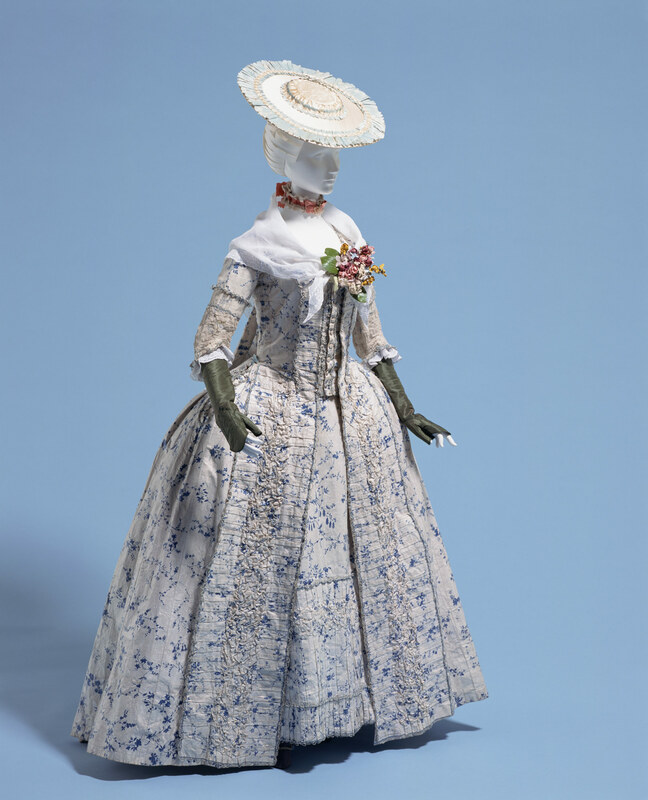 White glazed plain-weave linen with print of blue plant motif; "compères" with buttons; matching petticoat. 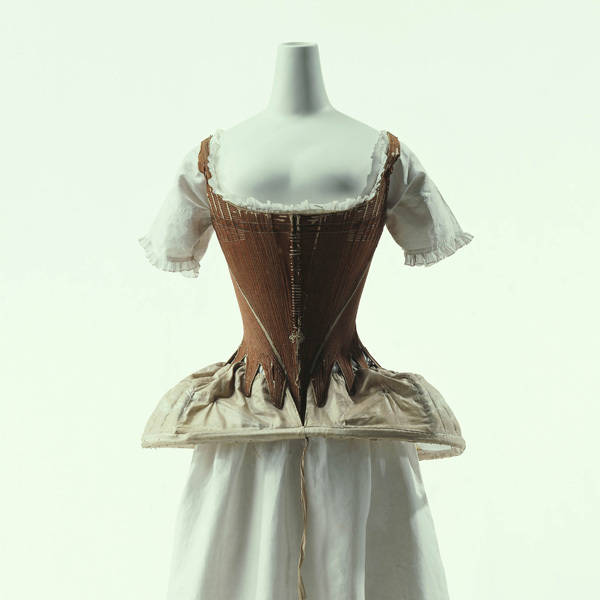 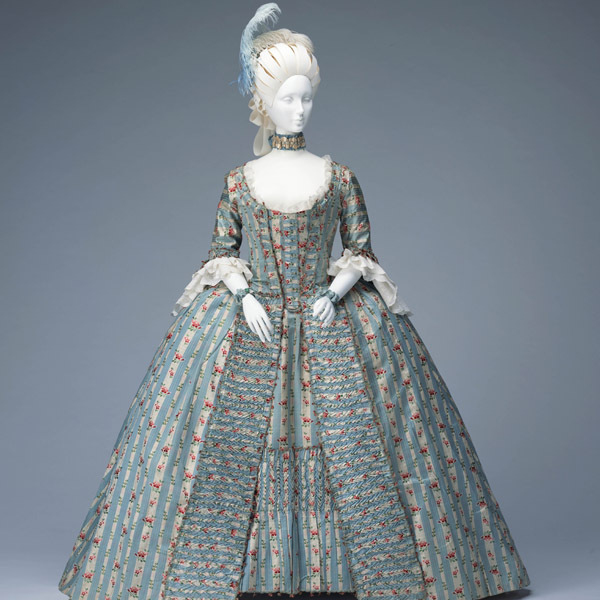 The front bodice of the gown is in the "compères" style, has two flaps attached to the inside of left and right front bodies, which are fastened by buttons. 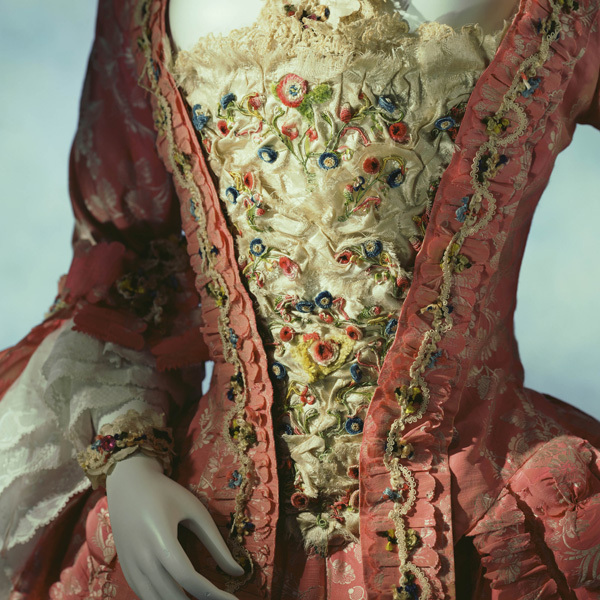 With the introduction of this style appeared in the late 18th century, the time-consuming stomacher, which had to be pinned to be worn, was no longer necessary. 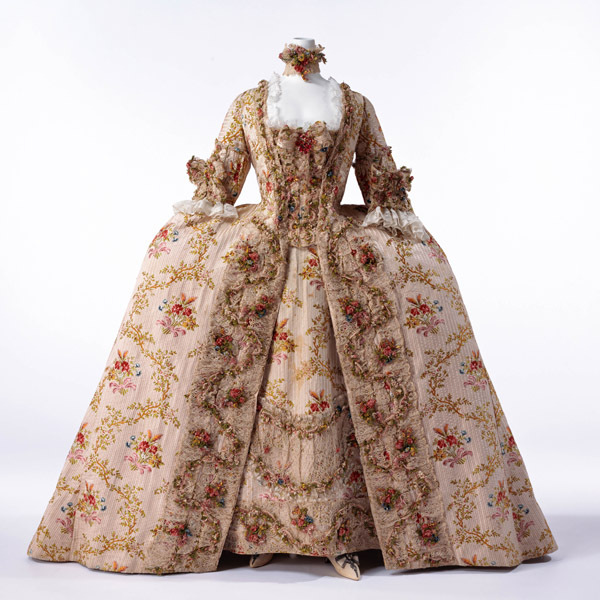 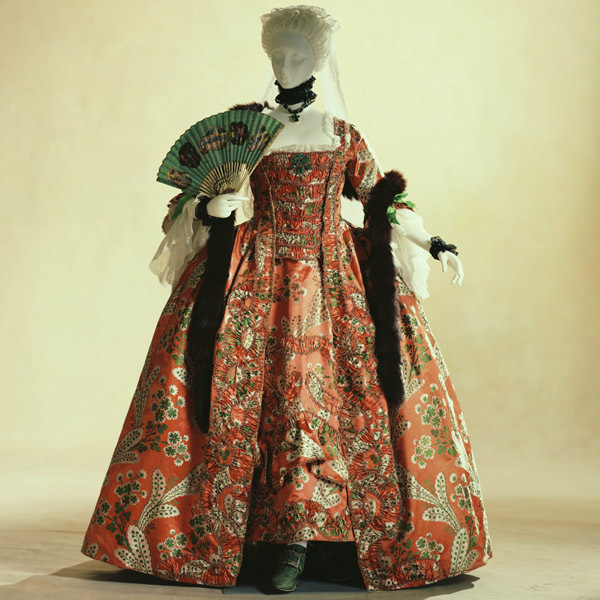 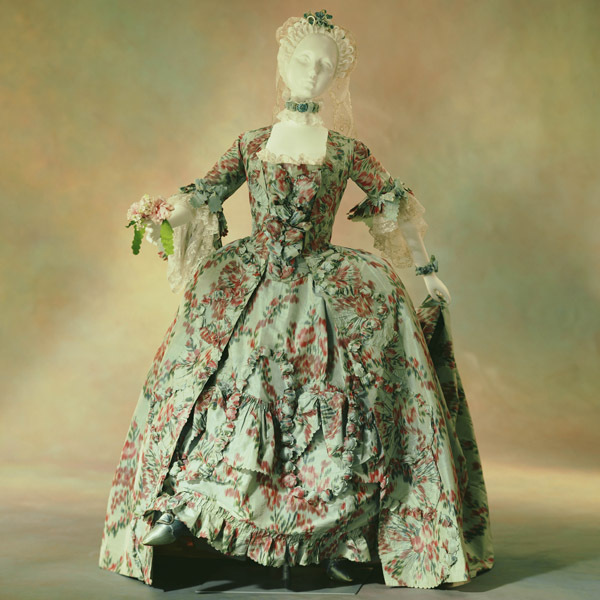 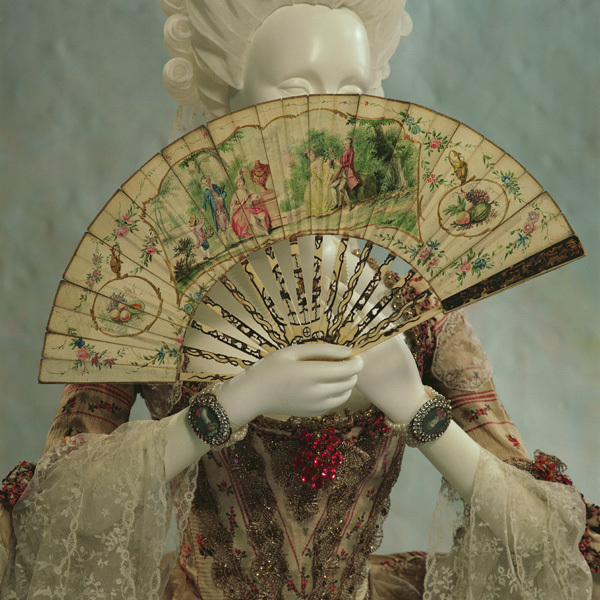 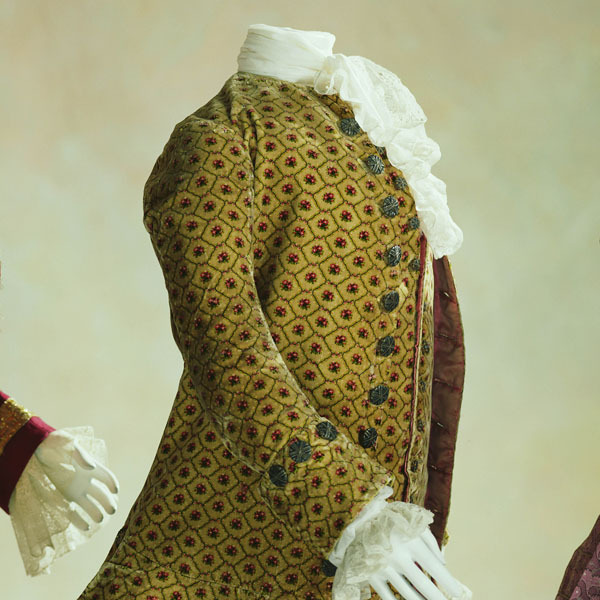 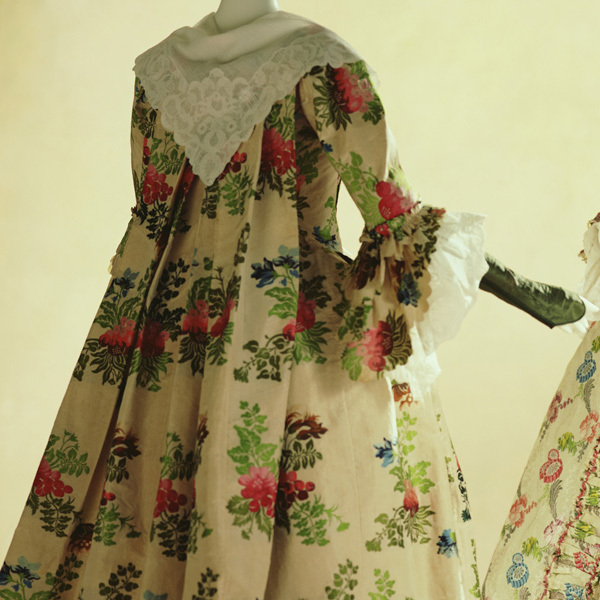 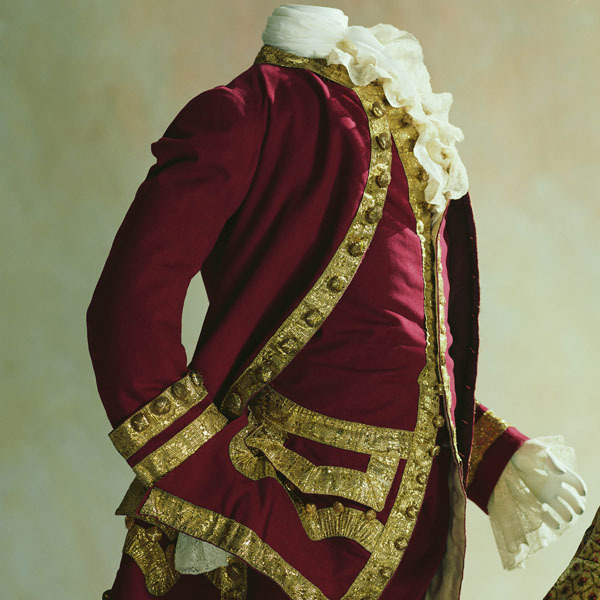 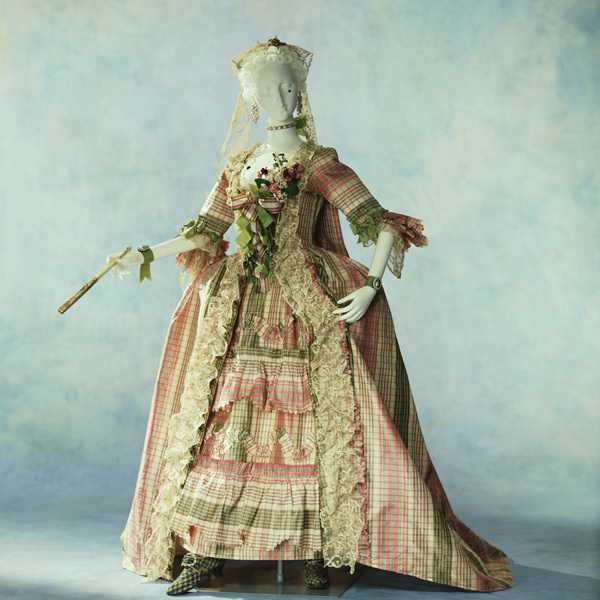 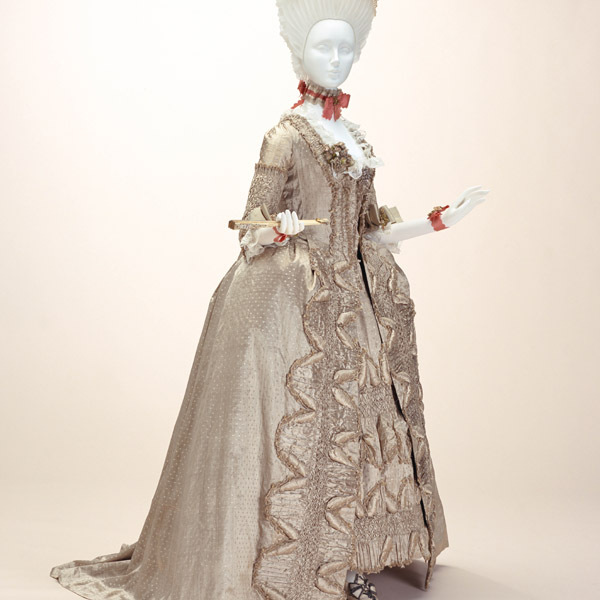 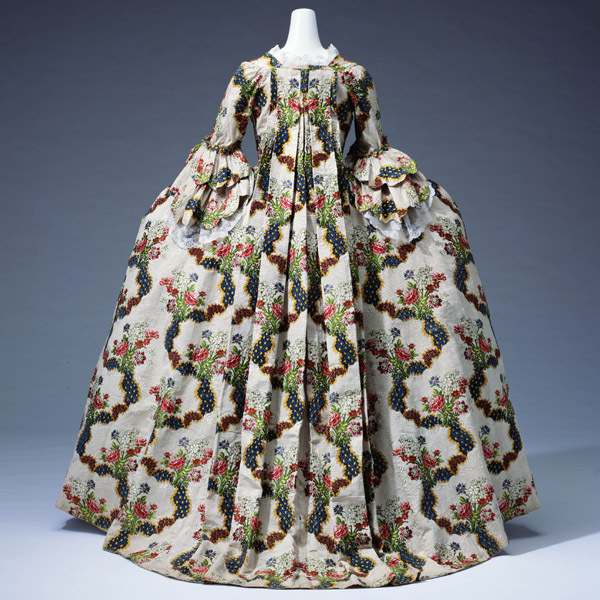 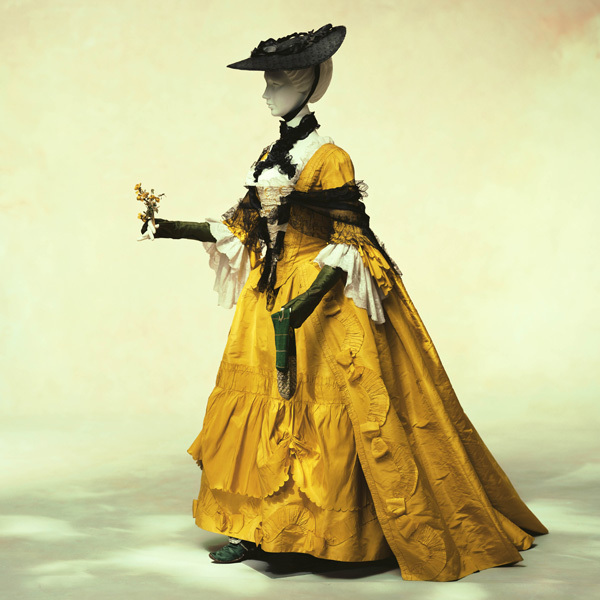 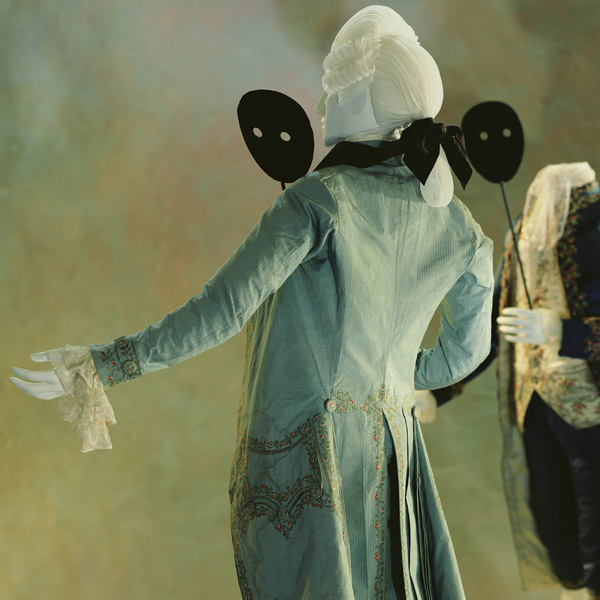 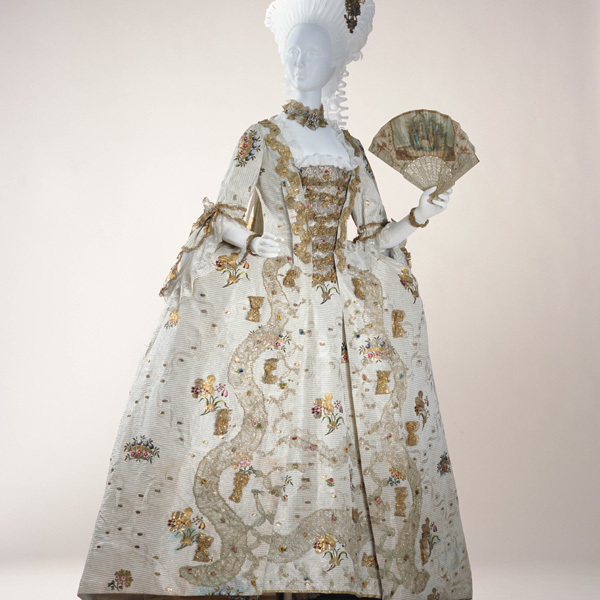 Except for court dresses, clothes were simplified in the late 18th century. 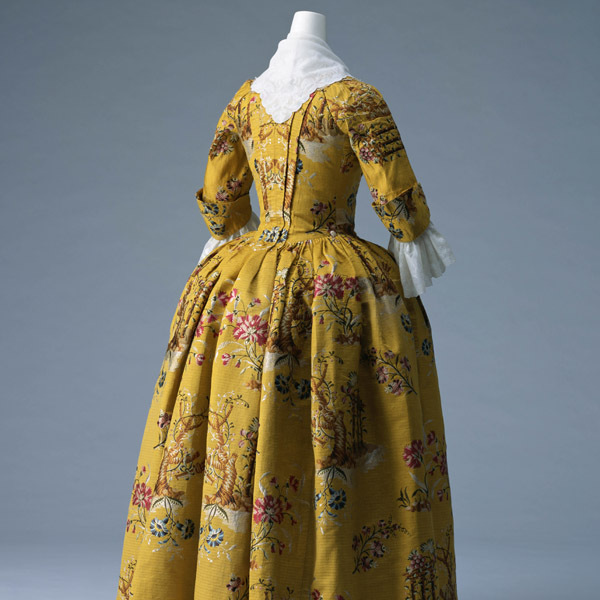 As like this dress, women's clothes became more relaxed and functional, and casual styles gained popularity.